GamerPunk | Apex Legends: the Titanfall 2 engine evolved? Just over 11 years ago, Infinity Ward revolutionised online multiplayer gaming with the release of Call of Duty: Modern Warfare. This past week, Respawn Entertainment, featuring many of the core team responsible for 2007’s game-changing title released its take on the battle royale shooter: Apex Legends. 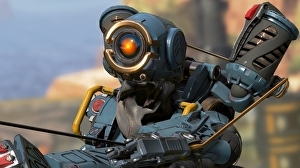 Set in the same world as Titanfall 2, it lacks the technological edge that Modern Warfare had in its day, but the quality of the action shines through in ways that its competitors struggle… Read original at Eurogamer — https://www.eurogamer.net/articles/digitalfoundry-2019-apex-legends-tech-analysis URL of source article.